Common ground is sometimes difficult to find. Especially in these divisive, heated times. But I believe that investors can easily find common ground among themselves. That’s because investors generally all want the same thing. And that one thing isn’t even that difficult to have. This one thing is financial freedom. I’ve never met an investor who didn’t want some degree of financial freedom in their life. Fortunately, it’s not difficult to achieve. This is coming from a guy who went from below broke at 27 to financially free at 33. 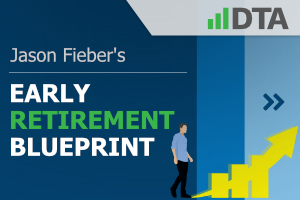 I relay how that six-year process played out in my Early Retirement Blueprint. Suffice to say, it involved a lot of saving and investing. The saving part might be straightforward enough, but the investing portion is just a little bit more nuanced. 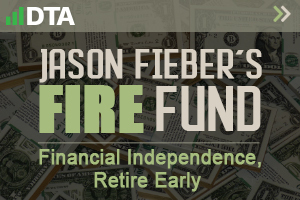 I’ve specifically used dividend growth investing to make my early retirement dreams come true. 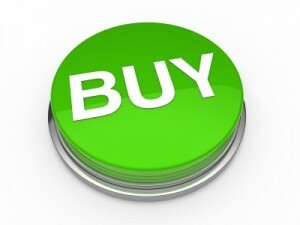 I believe this is the best investment strategy out there for achieving financial freedom. That’s because it confines one to investing in some of the best businesses in the world. This while simultaneously producing the passive income one needs to live off of and become financially free. I’ve used this strategy to build my FIRE Fund. That’s my real-life, real-money dividend growth stock portfolio. 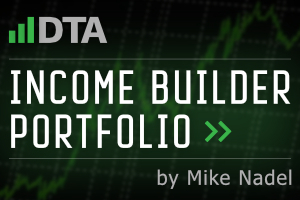 It’s chock-full of high-quality dividend growth stocks. And it generates the five-figure and growing passive dividend income I need to cover my essential expenses in life. To see many more high-quality dividend growth stocks, take a look at the Dividend Champions, Contenders, and Challengers list. That is an invaluable set of data on more than 800 US-listed stocks that have raised their dividends each year for at least the last five consecutive years. However, as great as these stocks can be, investing can never be approached blindly. I’ve always aimed to buy high-quality dividend growth stocks when they were undervalued. An undervalued dividend growth stock should offer a higher yield, greater long-term total return potential, and reduced risk. This is relative to what the same stock would otherwise offer if it were fairly valued or overvalued. 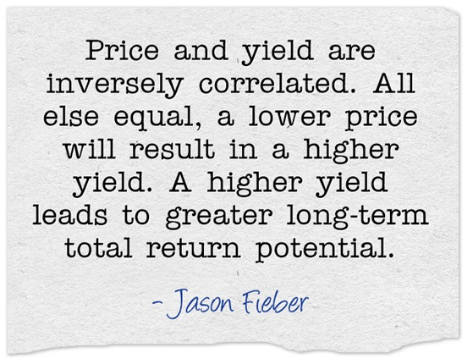 A higher yield leads to greater long-term total return potential. Total return is the sum of capital gain and investment income. The latter is obviously influenced by the higher yield. But capital gain could be given a boost via the “upside” that exists between a lower price and higher intrinsic value. The stock market isn’t necessarily great at accurately pricing stocks in real-time. But price and value do tend to correlate over the long run. 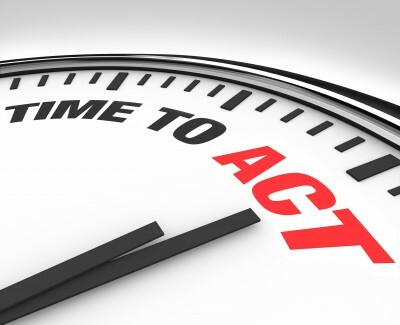 Taking advantage of a “mispricing” event in the short term could lead to capital gain. That would be on top of whatever capital gain would present itself as a company naturally becomes worth more over time. A margin of safety is introduced when there’s a large and favorable gap between price and value. This “buffer” acts to protect the investor’s downside in case unforeseen and unfavorable events come to pass. Investing always carries risk. You want to limit the risk as much as possible by getting the best deal possible on stocks. The lower the price, the more built-in “protection” you have against value erosion from bad news. These dynamics are obviously favorable. An investor should constantly seek to take advantage of them. The good news is that valuing dividend growth stocks isn’t a terribly difficult process. Fellow contributor Dave Van Knapp has made the valuation process very simple through his “lesson” on valuation. Lesson 11: Valuation is part of an overarching series of articles designed to teach the dividend growth investing strategy. AbbVie Inc. (ABBV) is a global pharmaceutical company with a particular focus on immunology and oncology. As one of the largest pharmaceutical companies in the world, AbbVie has positioned itself perfectly take advantage of a trifecta of global trends: the world is growing bigger, older, and richer. The global population is growing. People are staying alive longer. And global wealth continues to rise. As this plays out, the demand for high-quality pharmaceuticals will undoubtedly increase. In fact, increased access to high-quality medical care has a lot to say about the fact that life expectancy has been on the rise for decades. AbbVie should continue to do quite well, selling billions of dollars’ worth of drugs, as all of this unfolds. However, one major issue with the business is its concentration on one drug. A blessing in the sense that its been one of the biggest drug blockbusters of all time: it’s the most widely prescribed autoimmune biologic therapy. A curse in the sense that it’s become an overwhelming portion of AbbVie’s sales. For perspective, Humira accounted for approximately 65% of AbbVie’s total net revenue in FY 2017. There’s a legitimate concern that any major fall in future Humira sales will crater AbbVie’s business. There are protection mechanisms in place, though. The drug still has patent protection (through at least the early 2020s) This gives AbbVie time to protect the drug’s sales in the future (via licensing). Furthermore, the company’s pipeline is strong, with R&D investment growing 16% in 2017, to $4.6 billion. AbbVie is on pace to launch more than 20 new products or indications by 2020. Looking past Humira, their portfolio of on-market therapies, combined with the potential of the late-stage pipeline, is expected to generate more than $35 billion in revenue in 2025. This is a moving target. And it’s impossible to predict where things will be in 2025. But I don’t think it’s reasonable to expect Humira sales to completely collapse and take the business down with it. This isn’t AbbVie’s first rodeo. They separated from Abbott Laboratories (ABT) and became an independent company in 2013, but that shared legacy stretches back to the late 1800s. So you have a deep bench of drugs, an experienced management team, and a rich legacy here. This bodes well for the company’s ability to pay an increasing dividend for years to come. They’ve paid an increasing dividend for seven consecutive years. That’s as long as the track record could possibly be, considering the year in which they went independent. But the legacy business (pre-split) has a dividend history dating back many decades. The three-year dividend growth rate stands at a stout 15.5%. Since the company’s inception in 2013, they’ve increased the dividend by 140%. And they’ve already announced that their Q1 2019 dividend will be 11.5% higher than the Q4 2018 dividend. This puts the stock’s yield at 4.87%. A monstrous yield. That’s well over twice what the market provides. And it’s 160 basis points higher than the stock’s own five-year average yield (which is affected by the short dividend growth history). 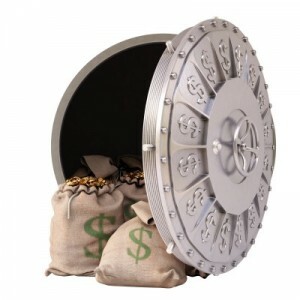 The big dividend is protected by a payout ratio of 68.0%. I calculated that payout ratio by factoring out the tax hit for Q4 2017. Like most US companies, AbbVie recorded a tax charge in FY 2017, but this doesn’t reflect the company’s long-term earnings power. The payout ratio is slightly elevated. But it’s not out of line for the pharmaceutical industry. Snagging a yield near 5% that’s built on top of double-digit dividend growth is pretty rare in this market. That combination of yield and growth makes people very wealthy over time. Based on the company’s growth trajectory, I don’t see it slowing down too much over the near term. 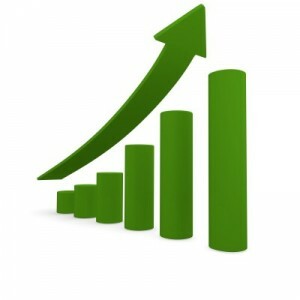 We’ll take a look at the business growth now, which will later help us value the business and its stock. First, let’s look at historical top-line and bottom-line growth since going independent. The company grew its revenue from $18.790 billion in FY 2013 to $28.216 billion in FY 2017. That’s a compound annual growth rate of 10.70%. Robust humira sales have helped the top line immensely. Meanwhile, earnings per share increased from $2.56 to $5.60 (on an adjusted basis) over this time frame, which is a CAGR of 21.61%. The lower tax rate, combined with substantial share repurchases, should serve as a floor on bottom-line growth. In fact, AbbVie announced a $10 billion share buyback in February 2018. The board then authorized a $5 billion increase to the existing stock repurchase program in December. Moving forward, CFRA is predicting that AbbVie will compound its EPS at an annual rate of 12% over the next three years. Continued Humira growth, licensing deals for Humira, and Imbruvica (AbbVie’s second-largest drug by revenue) sales growth are noted catalysts. We can also look at AbbVie’s own guidance for further reference. As of the Q3 2018 earnings release, tight guidance for the full FY 2018 EPS stands at between $6.43 and $6.45. Adjusted diluted EPS guidance is between $7.90 and $7.92, representing 41.3% YOY growth at the midpoint. Pretty spectacular growth projections here. But AbbVie doesn’t really need to hit it out of the park in order for it to be a great long-term investment. With that high starting yield, far more modest growth (say, at 7% or so) would be more than enough to fuel large dividend increases and make everyone a lot of money. I’d temper my expectations considering the question marks surrounding the pipeline and Humira, but there’s also room for a lot of upside surprise here. AbbVie simply doesn’t need to do much in order for long-term investors to do well. That’s because of the low valuation and high yield. One area of the business that isn’t as much of a question mark as it might seem is the balance sheet. I say that because the long-term debt/equity ratio of 6.07 (as of the end of FY 2017) appears to be insanely high at first glance. However, it’s only so high because of low common equity. It’s not because the company is severely or irresponsibly leveraged. A more accurate look at leverage is the interest coverage ratio. At almost 8, this number indicates no issues with AbbVie’s ability to cover its interest expenses or manage its debt. Moreover, total cash is almost 30% of long-term debt. The company isn’t in dire straits at all. That’s probably why you see them continuing to buy their own stock back. I wouldn’t like to see more debt on the balance sheet. The balance sheet isn’t excellent. But it is in reasonable condition. And it’s not in any sort of danger. What’s more obviously less in danger is the company’s profitability, which just screams impressiveness as soon as you look at it. AbbVie averaged annual net margin of 19.03% and annual return on equity of 117.91% over the last five years – and that’s even with counting big drops in 2014 and 2017 due to hits to GAAP numbers. Now, we should keep in mind that ROE is artificially inflated. That’s because of the aforementioned low common equity. Still, the net margin is very strong. If there weren’t question marks regarding Humira’s long-term future, this would be a total no-brainer stock right now. The yield is near 5%. The company is growing aggressively, fueling massive dividend raises and buybacks. Profitability is through the roof. Investors remain skeptical over Humira. There’s fear that biosimilars will kill the golden goose. Of course, there are ordinary risks that face any pharmaceutical company. There’s litigation, regulation, and competition to concern oneself with. All three of which are intense in the industry. The P/E ratio (using adjusted TTM EPS) is sitting at 14.01 here. Whether you look at the industry average, the broader stock market, or ABBV’s own five-year P/E ratio average, this is extremely low. Of course, I did use adjusted EPS because Q4 2017 GAAP EPS numbers are useless. But the P/CF ratio, which isn’t adjusted, is 11.1. And that’s substantially below the stock’s three-year average P/CF ratio of 14.9. Plus, the yield, as discussed earlier, is significantly higher than its own recent historical average. The stock clearly looks cheap. But how cheap might it be? What would a rational look at intrinsic value look like? I factored in a 9% discount rate and a long-term dividend growth rate of 5.5%. That DGR is purposely cautious. It’s way below the demonstrated dividend growth thus far. It’s less than half of what the most recent dividend increase was – which was announced just months ago. The numbers actually support a much higher DGR expectation, especially when you look at the CFRA prediction. But I’m erring on the side of caution due to the outsized effect that Humira has on the business as a whole. The DDM analysis gives me a fair value of $129.01. Even with a very conservative look at the stock, I come up with a valuation that’s much higher than the stock’s current price. My viewpoint is reinforced further by the basic valuation metrics that are way off of their respective recent historical norms. Morningstar rates ABBV as a 4-star stock, with a fair value estimate $102.00. 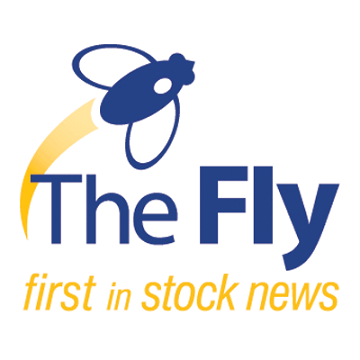 CFRA rates ABBV as a 3-star “HOLD”, with a 12-month target price of $88.00. Surprisingly, I came out high. I think this goes to show how cautious the mood is around the stock. But that could create a “coiled spring” effect if the company performs well. Averaging out the three numbers gives us a final valuation of $106.33, which would indicate the stock is potentially 21% undervalued here. Bottom line: AbbVie Inc. (ABBV) is a high-caliber company that operates with global scale. It should disproportionately benefit from a trifecta of long-term global trends. With a yield near 5%, robust profitability, double-digit growth, and the possibility that shares are 21% undervalued, this high-quality dividend growth stock could be the cure for your portfolio right now. Note from DTA: How safe is ABBV’s dividend? We ran the stock through Simply Safe Dividends, and as we go to press, its Dividend Safety Score is 67. Dividend Safety Scores range from 0 to 100. A score of 50 is average, 75 or higher is excellent, and 25 or lower is weak. With this in mind, ABBV’s dividend appears safe with a very unlikely risk of being cut. Learn more about Dividend Safety Scores here.